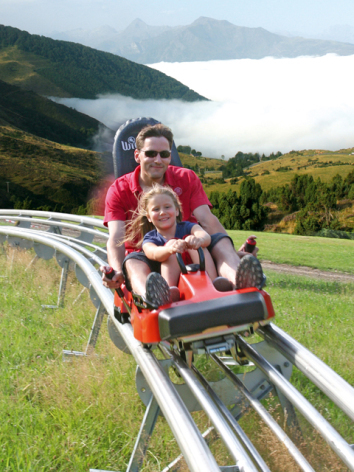 This summer head for the fabulous theme park that is the Hautes Pyrenees, so much fun for all the family. 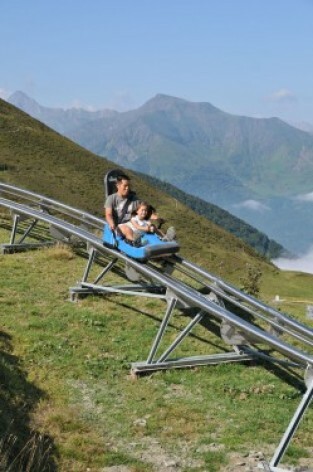 Thrilling mountain bobsleigh runs, a water park surrounded by dramatic peaks, discover the eagles and vultures. 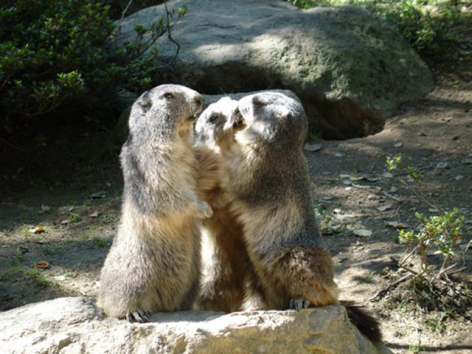 Marmots, otters, isard, bears, and wolves at the Pyrenees Animal Park. It is all just perfect for the parents as everyday the kids are having so much fun. Arrival and installation in your campsite. Pass for the Pyrenees Animal Park. 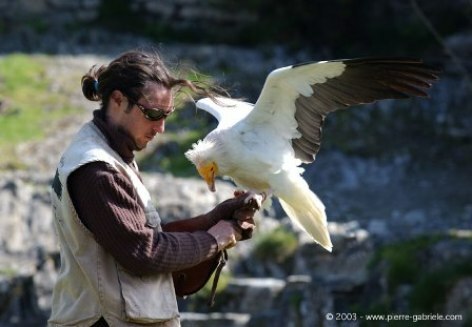 Pass for the Donjons des Aigles falconry centre. Descents on the aerial runway. Pass for the Lau Folies water park. Descents on the mountain bobsleigh run. Pass for the Chloro'Fil treetop adventure park. Situated at the foot of the Pibeste nature reserve and close to the charming village of Argeles-Gazost, this camping is the ideal base for a holiday or a short break, summer or winter. The Azun valley, Hautacam, Luz-Ardiden, Cauterets, Pont d’Espagne, Tourmalet … all the big names for skiing are close by. And why not leave your skis for a day and stretch your legs with a snowshoe expedition. 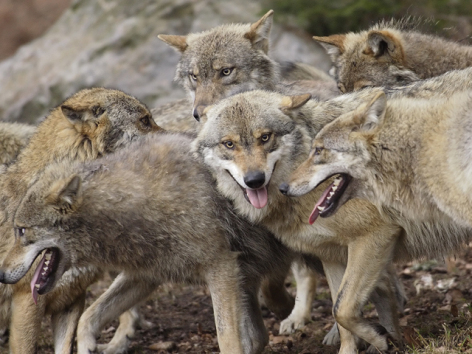 In summer, the Nature Reserve of Pibeste has Mouflons and raptors galore. 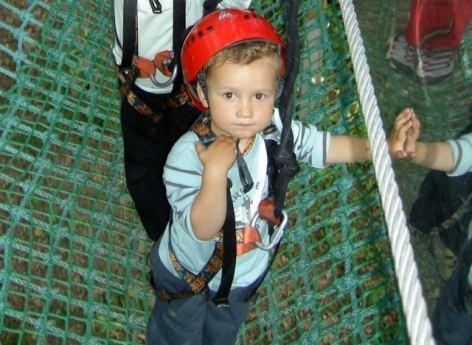 There is a mountain of different activities locally for both young and old, for some great memories to take home. The campsite is a family affair, Sylvain, Luc, Gérard, Odette et Pierre will look after your every need and offer lots of help to make the most of your holiday. Located under the cliffs of Pibeste, the shady setting is just perfect. The Finnish wooden chalets are warm and cosy, with terraces for a touch of sunbathing. 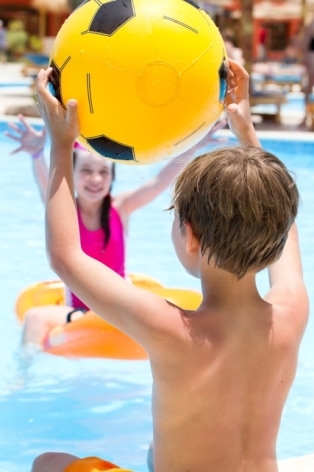 Your children will love the safe adventure play area with its climbing frame, parents can take a course in Qi Gong and Taî Chi, archery, rollerblading, or a guided trek, not to mention the lovely swimming pool and its terrace overlooking the mountains. Has 50 places of 100m², 11 wooden chalets, 26 caravans, a swimming pool, a play area for the children with a climbing frame, tennis, volleyball and boules. There is a restaurant, pizzeria, laundry facilities, library, internet, small grocery shop, gift shop. The camping also organises courses in Qi Gong and Taî Chi, rollerblading, archery and there is a programme of guided walks, children’s club. - Argeles Gazost, a small spa town with a beautiful valley location. 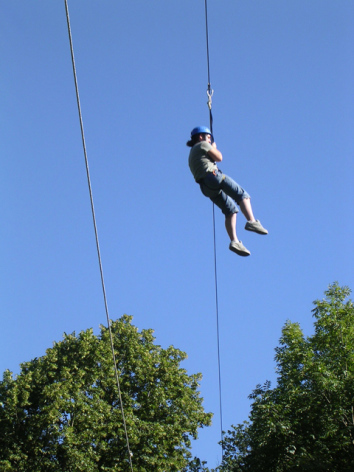 - The superb range of activities for families. 7 nights in a chalet on a 4 star campsite - 20 descents on the mountain bobsleigh run - 1 family pass for the Chloro'Fil treetop adventure park - 1 family pass for the Pyrenees Animal Park - 1 family pass for the Donjons des Aigles falconry centre - 1 family pass for the Lau Folies water park - 10 descents on the aerial runway - Booking fee. Local taxes – Cancellation insurance. And at the spa baths? Looking for great local produce? The largest in France. It is an excellent place to observe vultures and the other birds of prey which nest here. There are a number of waymarked discovery trails, some of which are specially designed for families. The road getting there is simply lovely, towering summits come into view as you approach the lake along a charming and gentle valley. The area around the lake is a protected zone. The setting is beautiful, perfect for family exploration, or a picnic, with many mountains streams crossing the grasslands. In summer one can drive right to its banks. There is a 800 metre long discovery trail close to the dam with 5 information points where the fauna, flora and the workings of the hydro-electric plant are explained.